Tuomas Koskela received his PhD in plasma physics from Aalto University in Helsinki, Finland. He is currently a postdoctoral fellow at NERSC at Lawrence Berkeley National Laboratory in the NESAP project. His research focuses on performance optimization of particle in cell codes for manycore architectures and on the development and application of the roofline performance analysis method. His work deals with the challenges of effective vectorization, parallelization and memory alignment in a legacy fortran code. He has been an avid user of roofline methodology in his optimization work and given several talks in tutorials on the topic. 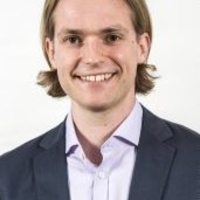 His teaching experience includes teaching university level classes, supervising undergraduate students at Aalto University and giving multiple tutorials on performance optimization and the roofline model.